You might not know this but Tunisia is living tumultuous times these days. 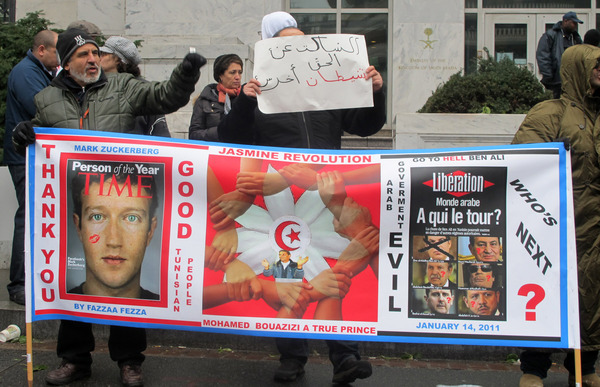 The revolution is on the streets and, apparently with Mark Zuckerberg. As the World applauds the Social Network movie, based on aspects of his life and portraits him like a complete "I'm CEO b**ch" jerk, Tunisian people give him a stand up ovation for the role of social networks on the organization for the overthrown of the government. And the "Thank you" is so heartfelt that they even photoshopped the cover of Time magazine with a red lipstick kiss in his cheek!